Eating foods like deep-colored berries, red beets, and tomato sauce. Drinking coffee, tea, and red wine. Genetics—Some people naturally have teeth with an off-white or yellow appearance, just because those are the genes that are passed down from their ancestors. Aging—Surface enamel wears down over time, exposing the layer of dentin underneath, which typically is more yellow in color than enamel. If the list above seems like a downer (and it kind of is … who wants to give up coffee and red wine, and we can’t stop time), you’ll love this info: There are many ways to get whiter teeth! The solutions range from simple, inexpensive lifestyle changes to professional procedures. Determining which ones are right for you depends on the cause of yellowed teeth, your beauty budget, and the condition of your teeth (that is, if they can handle certain whitening methods). First, consider switching from staining food and drinks to alternatives. Switch from red to white wine, or choose apples when you reach for fruit instead of dark berries. Not ready to switch your food and drink? Consider changing how you eat and drink, taking care to use a straw when consuming staining beverages, or rinsing your mouth immediately after eating or finishing a glass of wine. Practice good dental hygiene. This might sound like a no-brainer, but brushing and flossing teeth twice a day, every day, as well as getting routine dental cleanings can go a long way toward preventing the staining and stain buildup that leads to a dull smile. Over-the-counter whiteners really do work! Whitening, lightening, or bleaching products come in many forms: Strips, liquids, sticks, and gels really are effective when used as directed. These products contain the same active ingredients (either carbamide peroxide or hydrogen peroxide); which one you choose is strictly personal preference. Professional whitening procedures at a dentist’s office provide fast and impressive results, in large part because the dentist uses a higher concentration of active ingredients than is available over the counter. The downside is that the cost averages $650 a visit, varying widely depending on where you live. 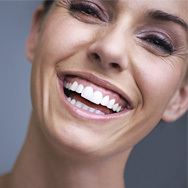 An alternative to in-office teeth whitening is to have your dentist make a custom, flexible plastic mold of your teeth. You can use the mold over your real teeth to hold the over-the-counter whitening gels in place for a longer period, improving the whitening results you get—no struggling to get strips to adhere to your teeth. One note: What makeup you wear can make a difference in how white your teeth appear. Blue-based red lipsticks make teeth look whiter, white- or yellow-based or light pink colors can make them appear more yellow. This can be the case even if you’ve had your teeth whitened! Although not everyone is affected, tooth whitening, no matter the method, poses a risk of potential tooth and gum sensitivity. The higher the concentration of the active ingredients, the more likely you are to experience some pain and discomfort—and some of these symptoms can linger for weeks after the procedure. You can mitigate this somewhat by using a toothpaste designed for sensitive teeth that contains the active ingredient potassium nitrate. If the sensitivity persists, be sure to bring it to the attention of your dentist. It’s also important to be realistic about your expectations when it comes to teeth whitening. Whitening products will work only on natural teeth, so if any of your teeth have crowns, porcelain veneers, bonding materials, and so on, you might wind up with unevenly colored teeth. As with most things in the world of cosmetics, expensive doesn’t necessarily mean better, and that applies to teeth whiteners, too. No matter which option you choose, taking your teeth from yellow to white can improve your self-confidence and help you feel younger and more attractive. Here’s to a whiter, brighter smile!